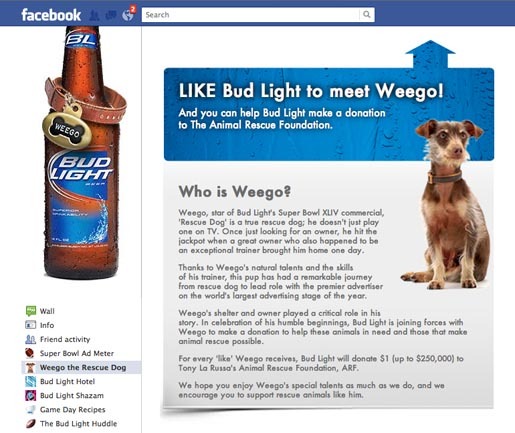 Anheuser Busch is running a Super Bowl advertising campaign for Bud Light beer, featuring Weego, a rescue dog named after the tag line, “Here We Go”. Viewers are invited to show some love for rescue dogs like Weego, by liking facebook.com/BudLight, where Anheuser Busch will donate up to a quarter of a million dollars to Tony La Russa’s Animal Rescue Foundation, ARF. 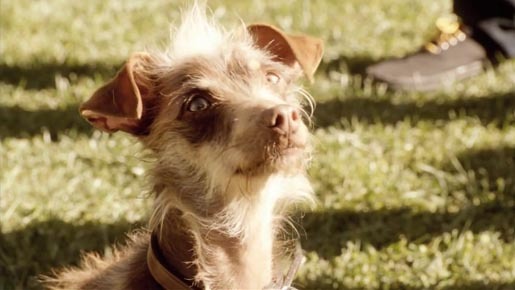 The Rescue Dog campaign was developed at McGarryBowen.